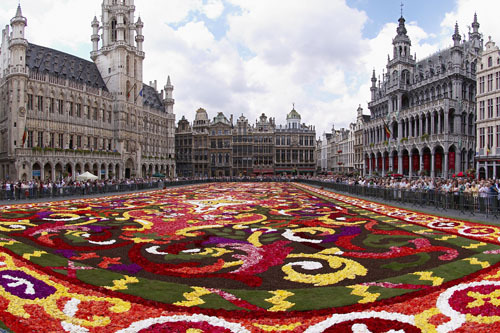 Best known for being the Headquarters of the European Union, Brussels is also a wonderful walking city. By all means, learn about the EU on a guided tour, but be sure to wander the streets of the city center, if only for the many beer and chocolate spots around every corner. Join a tour or wander the Grand Place at your leisure. 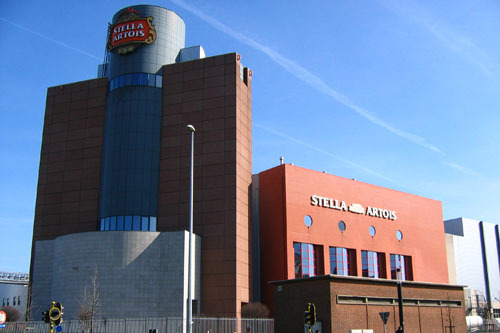 Breweries are everywhere, take a tour of the well known Stella Artois Brewery in nearby Leuven.The Magritte Museum has the largest collection of the surrealist painter's works and is worth a detour. 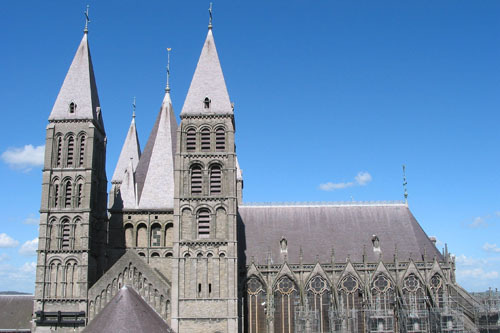 Explore the region of Mons (the city was named the European Capital of Culture 2015) with a stop at the Neolithic Flint Mines in Spiennes and the Cathedral in Tournai. No visit to Belgium is complete without a side trip to the charming market town of Bruges, with its Disneyland'ish perfection. Head for the European Parliament’s Visitors’ Centre (admission to the building is free) to learn about the EU and its 27 component countries. Guided tours of the delegates’ chamber are available for groups and individuals, led by information officers who are up-to-date with all the machinations of the Parliament. If a debate is in session, visitors can watch from the gallery, and if possible, a brief meeting can be arranged with an MEP (Member of the European Parliament). Tours are in all main European languages and visitors must be aged over 14. Dedicated to the pre-eminent surrealist painter, Rene Magritte, and opened in mid-2009, this museum is centrally located in the historic Hotel Altenloh, renovated to meet the highest environmental standards. Five levels chronicle a lifetime of his achievements as a painter, sculptor, photographer and film maker, the largest collection of his work under one roof. 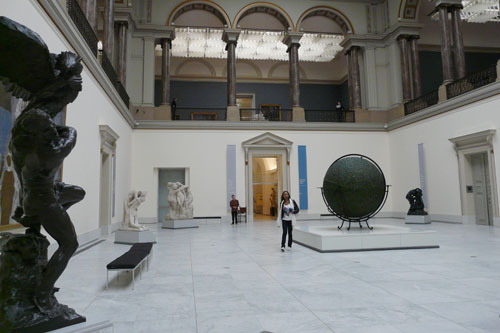 The pieces belong to the Museum of Fine Arts and some private collectors, including masterpieces such as ‘Empire of Light’ and ‘The Return.’ Audioguides and other interactive visitor tools are helpful in understanding the man and the art form. An unprecedented 56 belfries are now designated as a single UNESCO World Heritage Site, covering an area from Pas-de-Calais and Picardie in France to Flanders and Wallonia in Belgium. They mark the splendid Gothic and Romanesque cathedral towers of such wealthy towns as Antwerp, buildings dating from the 11th and 12th centuries as well as the beginnings of the importance of civic architecture as trade links developed in the 13th to 15th centuries, like the Cloth Hall belfries in Ypres and Mechelen, whose belfry has a carillon of 78 different bells. The magnificent Belfort (Dutch for belfry) civic hall in Bruges is dominated by its massive belfry, standing over the market square. It is 83 metres high and its 34-bell carillon rings out across the town every 15 minutes. 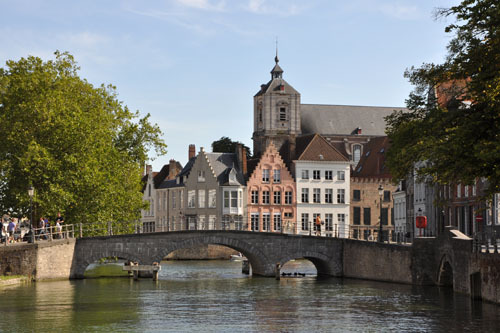 Climb 366 steps to the very top for spectacular views over Bruges and its beautiful canals. The belfry in Aalst, Belgium, is also spectacular as is the one at Loos in France; the sights you choose to visit depend on where you are travelling. 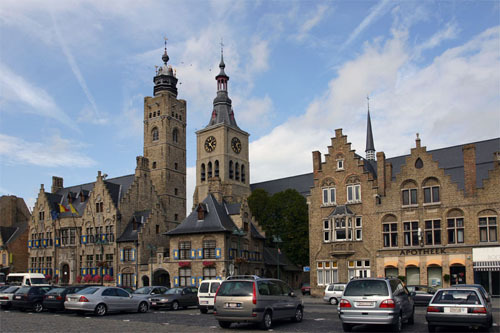 The full list of ancient belfries comprises: Belgium: Flanders: Aalst, Antwerp, Bruges, Dendermonde, Diksmuide, Eeklo, Gent, Herentals, Ypres, Kortrijk, Lier, Leuven, Lo-Reninge, Mechelen, Menen, Nieuwpoort, Oudenaarde, Roeselare, Sint-Truiden, Tielt, Tienen, Tongeren, Veurne, and Zoutleeuw. In Wallonia: Binche, Charleroi, Mons, Namur, Thuin and Tournai. The French attractions are in Armentières, Bailleul, Bergues, Cambrai, Comines, Douai, Dunkerque, Gravelines, Lille, Loos, Aire-sur-la-Lys, Arras, Béthune, Boulogne-sur-Mer, Calais, Hesdin, Abbeville, Amiens, Doullens, Lucheux, Rue, and Saint-Riquier. 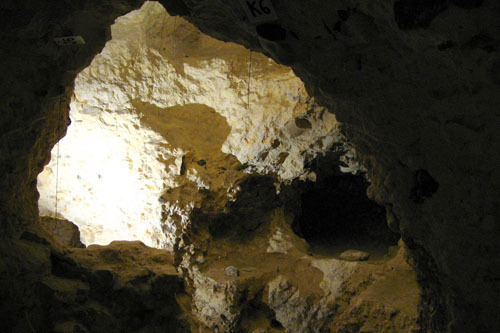 Found near Mons in Wallonia, the Spiennes flint mines cover over 100 hectares, making them the largest mining complex yet discovered in ancient Europe. In an area of chalky downland, they are a combination of open-cast mining which gradually gave way to underground mining to get at the rich seams of flint. The mines date from the Neolithic period around 6,000 years ago and evidence found around the many shafts shows clearly that man was polishing flint axe heads by this time. Forests were being cleared and tools were being used to shape timbers to make wooden shelters and boats. During the 1,800 years that the mines were used, Stone Age men bored about 1,000 shafts into the ground, some at a depth of up to 16 metres. Guided tours of the mines involve climbing down ladders through the shafts; which are damp and at a temperature of 8-10 degrees C, so dress appropriately. Underground the passages are labyrinthine. Unbelievably scars made when the passages were being dug out by men using flint and deer antlers as tools are clearly visible across the centuries. A brand new visitor's center opened in 2015. The blue-gray majesty of Tournai’s Catholic Cathedral of Our Lady dates from the early 12th century. Although the nave is completely Romanesque in style, the creeping influence of Gothic architecture is apparent in the pointed arches of the transept and the five tall towers above it. The cathedral’s Gothic facelift was completed by a 13th-century bishop who oversaw the adorning of the façade with sculpture and rebuilt the choir. Standing on the site of earlier pagan temples, and a wooden church burnt down by Viking pillagers, today light floods in through the cathedral’s Gothic stained-glass West Rose window, and its treasures include Byzantine crosses, 15th-century tapestries created by local guilds, a masterly Renaissance choir screen by CF de Vriendt, and paintings by Rubens. The Treasury contains priceless silverware and the gold Shrine of Our Lady, a 12th-century reliquary now used in religious processions. Still Belgium’s largest cathedral at 134 metres, the south towers peer across the medieval gabled houses of Tournai’s attractive Grand Place. Put your feet up in one of the many restaurants lining the square, order moules frites and admire the view. Pop into the Museum of Fine Arts to view works by Manet, Van Gogh, Rubens and other European masters. 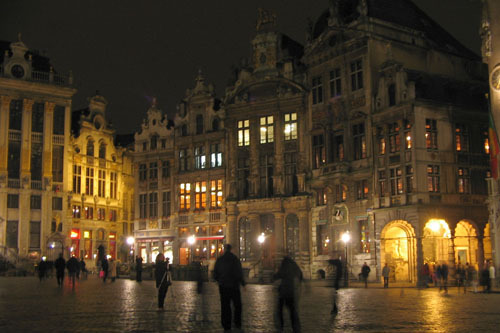 A monument to true European grandeur, the Grand Place deserves its honorific. Belgium’s quiet majesty unfolds gloriously here. The exquisite Hotel de Ville and a mélange of museums and Renaissance-style guildhalls flank the magnificent main square. Old cobblestones amidst street artists, musicians and tourists galore. At a terrace restaurant, savor the national dish of mussels and fries or sip a Belgian brew or hot chocolate. For dessert, devour waffles dripping with chocolate and wander down side streets. The Stella Artois Brewery, located in the heart of Leuven, has been in existence since 1366 and today it is a global brand enjoyed in 80 countries worldwide. The brewery offers tours Tuesday to Saturday assuming its minimum of 15 visitors is met. The Classic Tour offers an introduction to brewing while the Beer Tours (minimum cost 500 euro per group of up to 30), intended for true beer lovers, offers an extensive sampling of brews and snacks. Private tours are possible, but much more expensive. Plan ahead and book online.